Have anyone notice they Soundwave can't get Power from attacks? And only from the Power Gain? This is how it's supposed to work. First, you use a successful heavy attack to get to the second bar or power, and then if you successufully attack the ennemy using sp 2, you can get to sp 3, and then you have to start again. However, you also gain power when getting hit like with any other bots. His power gain is amazing, I don't see a problem with it.. once it starts, it just doesn't stop. Not the same situation as Arcee before she was un-nerfed. Her power gain on only criticals was awful. 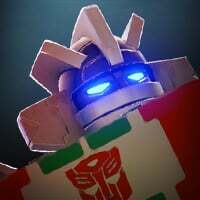 At least the game add this sentences to Soundwave's ability detail: WARNING! This bot can't generate Power from its own attacks. So everyone will understand. Yeah I agree his description could use a little more detail to explain it. If you play him enough though, you can just figure it out eventually; that's how I did it. So how is it? Has the game looked at it? This is indeed not a bug. If you look at his Abilities, it tells you how to gain power with Soundwave. 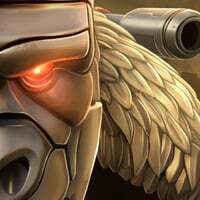 We have asked the team to make it more clear that he does not gain power normally in a future update. It's part of him like everyone else has stated. It makes him an absolute monster when fighting against, but it's less enjoyable when in play. He still gains energy freakishly fast. I recommend doing some time stalling work since Soundwave doesn't require iteration after the buff takes effect.